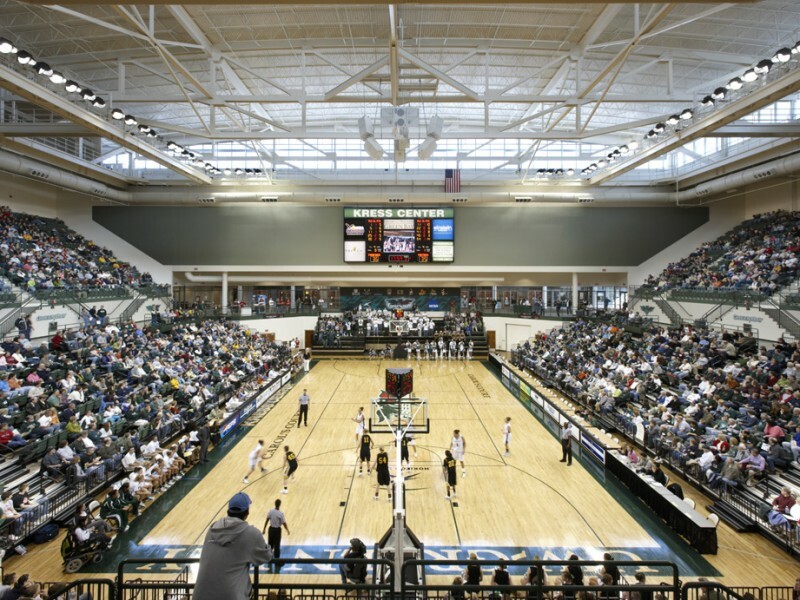 The new Kress Events Center at the University of Wisconsin-Green Bay is an addition to and renovation of an aging recreation center. 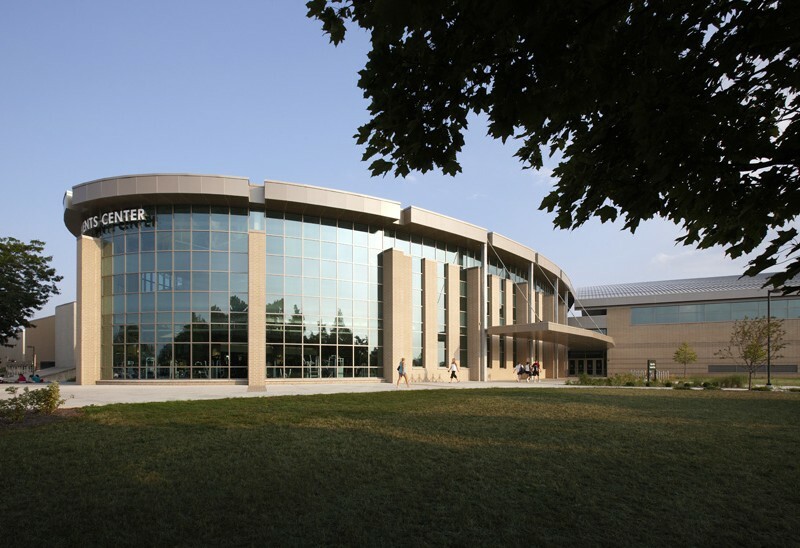 As a major structure sited adjacent to the campus’ entry drive, the expanded building has become a “gateway” to the University. 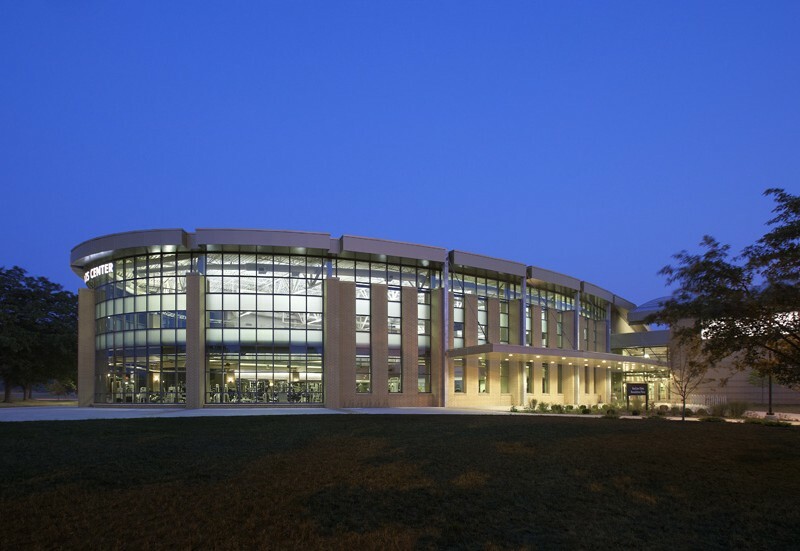 At night the back lighted expanses of glass and exterior illumination make this building a beacon of activity. 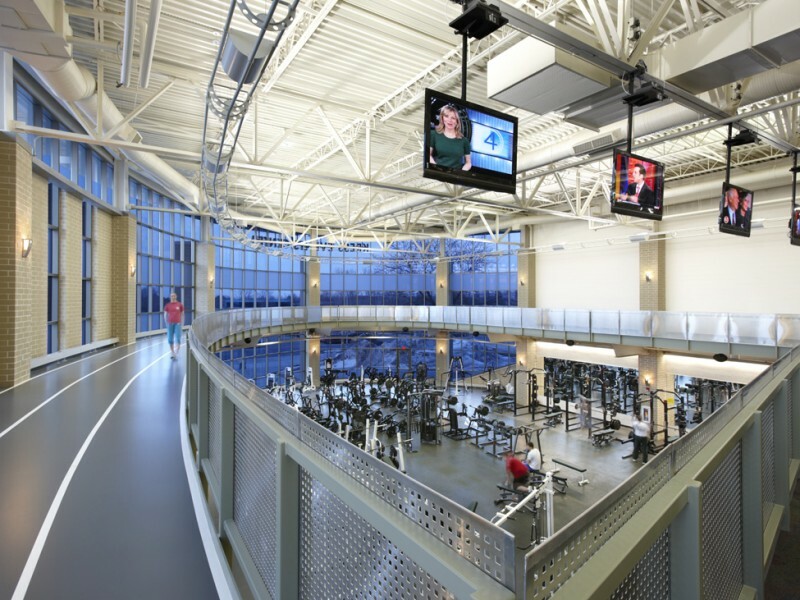 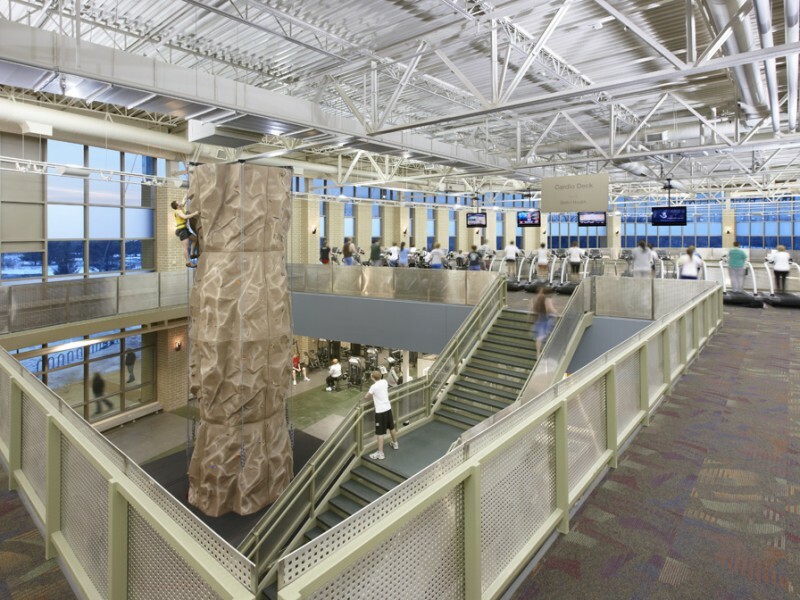 Two programs share space within the facility: recreational sports and athletics. 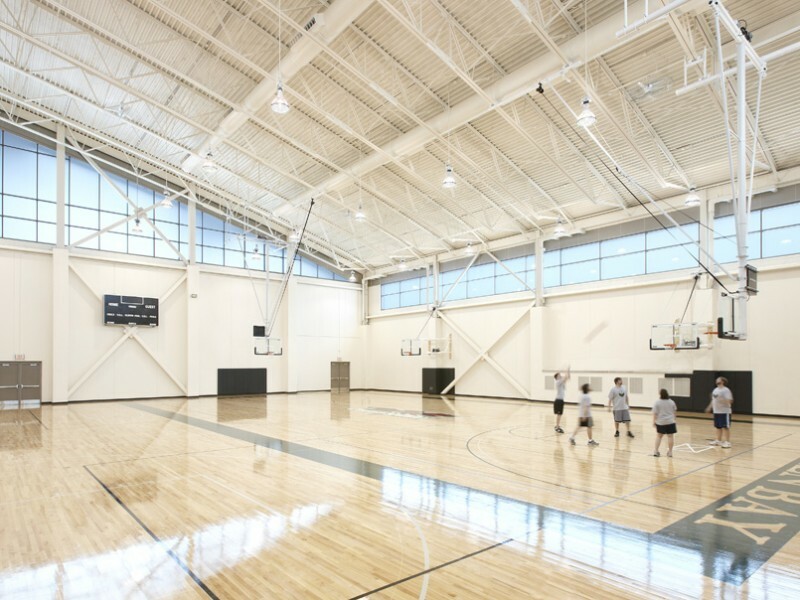 To the recreational component the project added additional fitness space, running track, group exercise and an additional basketball court. 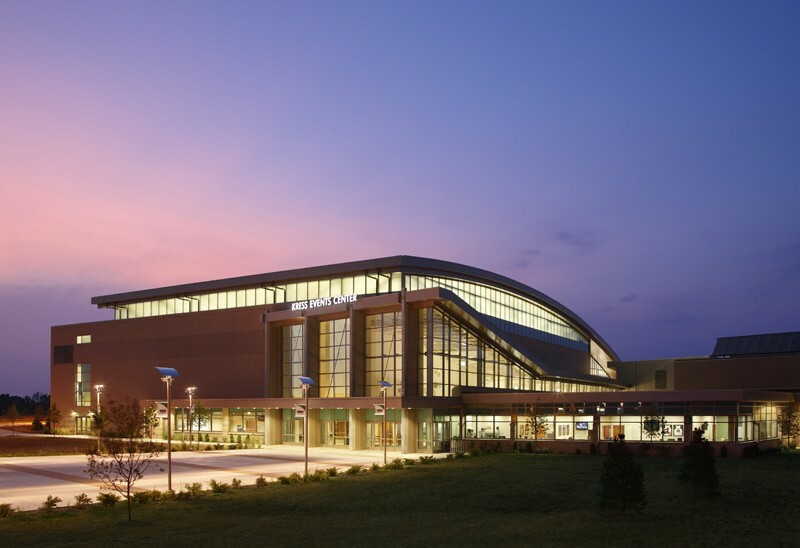 The largest element was a new competition court for the women’s varsity basketball and volleyball teams. 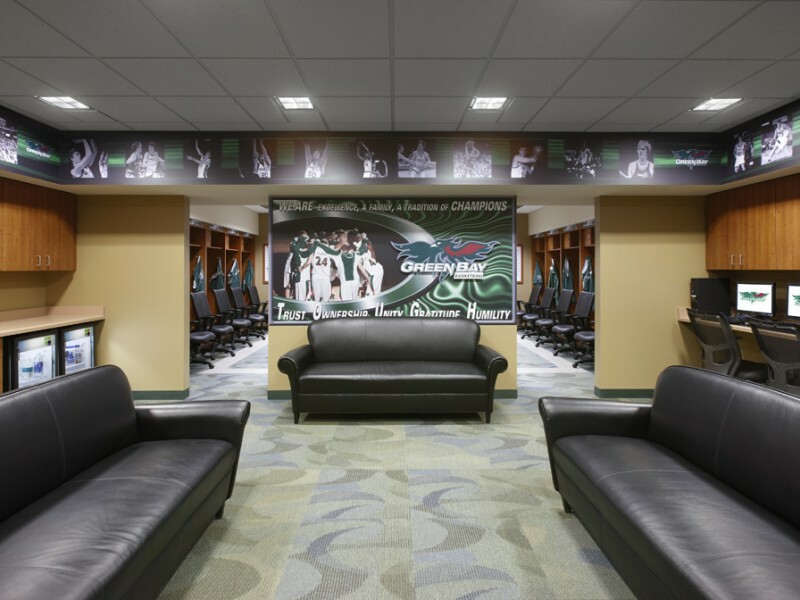 Also included in the facility are offices for the entire athletic program staff. 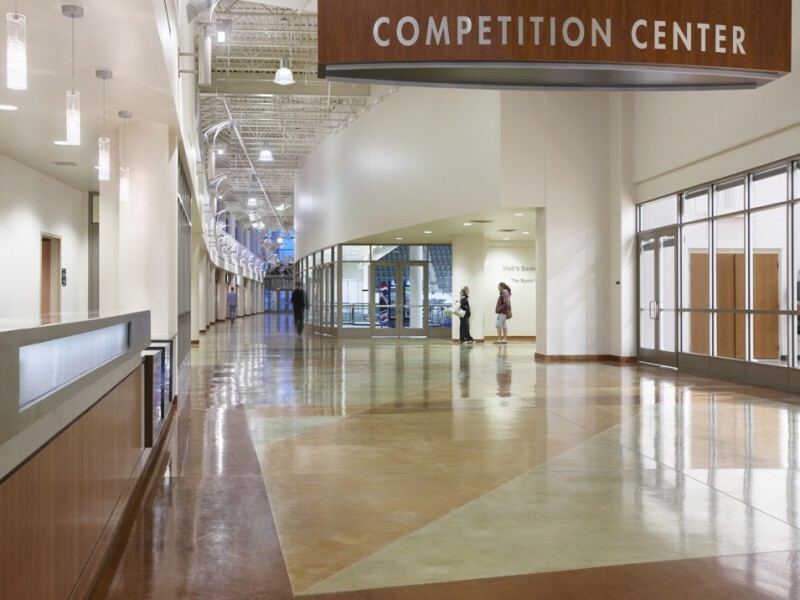 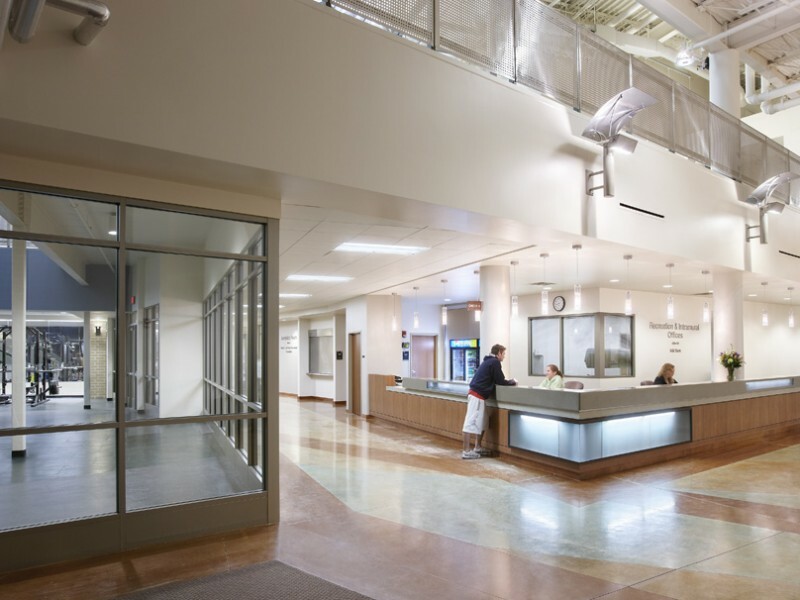 A spacious concourse unites all these spaces into a single entity. 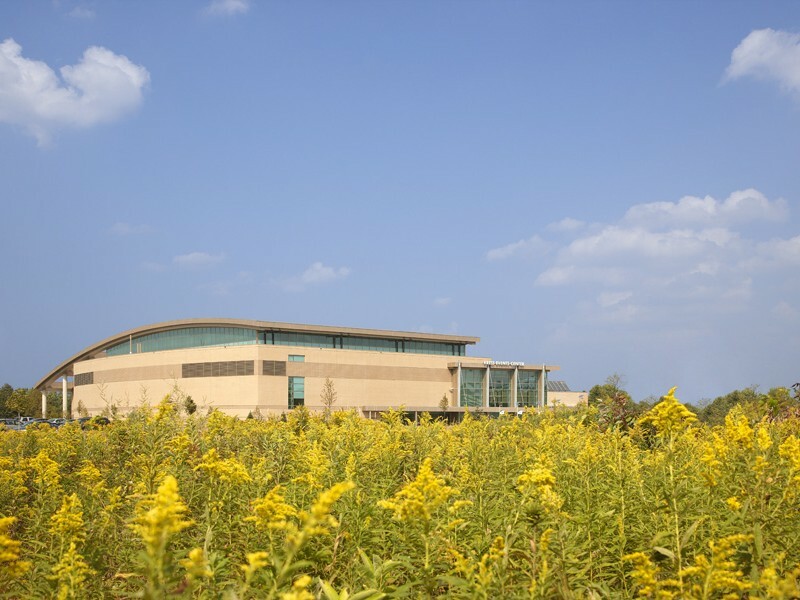 Much of the site is surrounded by wetlands and the public plazas immediately adjacent to the entry are planted with native grasses and shrubs to extend the natural habitat.